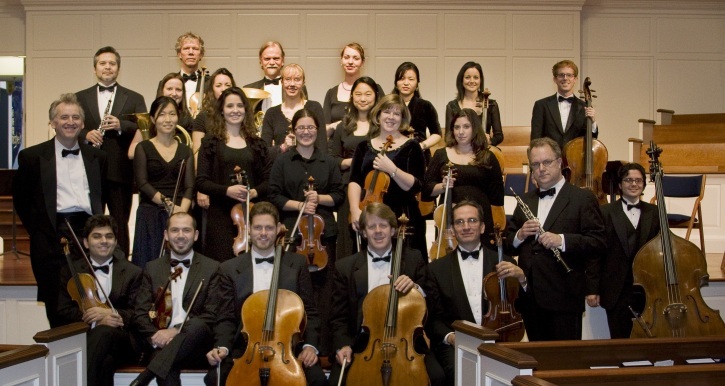 Founded in 2003, Camerata Chicago is a chamber orchestra equally at home in intimate settings as well as in larger chamber music venues, performing the rich tapestry of diverse chamber orchestral repertoire that includes newly commissioned works. Camerata Chicago is now firmly established as one of the finest chamber orchestras on the world stage and has performed frequently on WFMT radio station and for well-known concert venues such as the Art Institute of Chicago, The Harris Theater, Chicago Cultural Center, Northeastern Illinois University, St. James Cathedral, North Park University, College Church, and St. Michael’s Catholic Church, Wheaton. Within a year of it's debut the ensemble won a record contract with Centaur Records to record music by Stamitz. This album enjoys air time on all the nation's classical music stations and international distribution. The orchestra has enjoyed collaborating with distinguished artists such as Wendy Warner, Peter Van De Graaf, the International Beethoven Project Trio and Michelle Arezaga an Lyudmila Lakisova. Camerata Chicago has had a particularly close relationship with the Internationally acclaimed Vermeer String Quartet, collaborating with the quartet’s leader Shmuel Ashkenasi who performed and recorded the 5th violin concerto of Mozart. Mr. Ashkenasi subsequently became Artistic Advisor to the orchestra in 2006. In 2008 Mathias Tacke, second violinist of the Vermeer quartet was appointed concertmaster and since then has performed and recorded well known Bach concerti with Camerata Chicago. Vermeer cellist Marc Johnson performed Haydn’s D major Cello Concerto in 2008. In 2013 Camerata Chicago, under the leadership of Maestro Drostan Hall will undertake a major European tour to include all the major musical capitals. Internationally acclaimed cellist Wendy Warner, a Chicagoan, will accompany Camerata Chicago as soloist. "One of the top five chamber orchestras in America." "I was very impressed indeed with the very high quality of the playing."